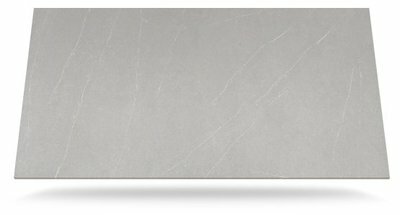 Mirostone replicates the beautiful look and feel of natural stone, touch it and find out! It is cool to the touch and it’s authentic, naturally inspired designs blend elegantly with kitchens of all styles. ​Mirostone’s colourful stone effects are not just skin deep, they run consistently throughout its thickness. So now you can have uniquely stylish and practical worksurface features. ​A big reassurance with Mirostone surfaces - a 10 year warranty. Ask your kitchen designer or installer for a care and maintenance kit and a copy of our leaflet: How to Care for your Mirostone® Solid Surfaces. Full details of the 10 year warranty are enclosed. ​Our NEW Options range of classic laminate designs covers the spectrum of traditional worksurface colours and more, it showcases how dramatic patterns combined with principal colours deliver worksurface designs full of character. The worlds leader in laminate worktops brings you their recently reacquired Prima range. This announcement follows the recent Wilsonart acquisition of Bushboard, Formica Prima’s licensee and manufacturer and their notification of termination of the licence and supply agreement for Formica Prima. Formica Prima® is one of the strongest and most established laminate worktop brands in the kitchen studio market and its manufacture is coming home. Both the laminates and finished worktops as well as accessory products will now be fully manufactured by Formica Group in the UK. If you should ever watch just one worktop advertisement, let it be this one. 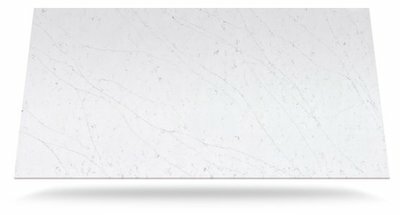 We are very proud to announce that we now supply Cosentino™ Silestone® Quartz. The leaders in Quartz, with over 80 years experience include the most demanding quality controls that offers a basic qualification to a product that has become in the skin of thousands of kitchen in more that 52 countries. As such Cosentino™ offers to its consumers 25 years warranty to the Silestone kitchen worktops. We thought that was important enough to mention here. Stain Resistant - Silestone is a non-porous surface and highly resistant to stains from coffee, wine, lemon juice, olive oil, vinegar, makeup and many other everyday products. Acid Resistant - Quartz is one of the hardest minerals in the world. This makes our products very durable, with a high level of resistance to external aggressions. Scratch Resistant - Quartz is one of the hardest minerals in the world. This makes our products very durable, with a high level of resistance to external aggressions. Impact Resistant - Silestone's high impact resistance exceeds other similar products such as granite and solid surfaces. This feature guarantees safety in your kitchen when handling hard objects (pots, pans, etc.). This resistance is achieved thanks to its quartz hardness, its polyester resin elasticity and its vibrocompression system used during its production. Pictured: Cindy Crawford, Silestone Marquina.